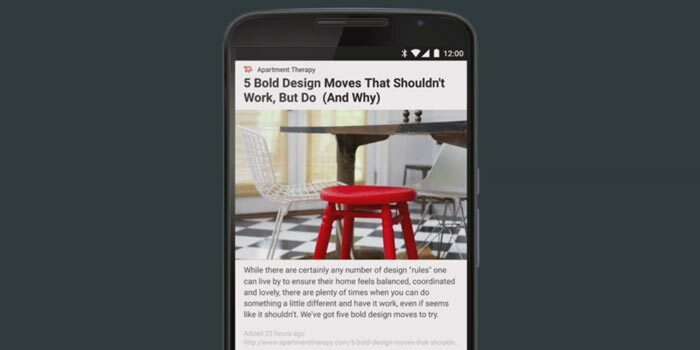 Attendees of the Google I/O were granted the first look at the upcoming Android M version that’s still to get a name. Developer previews for Nexus devices are out now, so those ready to encounter lots of bugs and see the unfinished software can download them. As for the new features this version brings with, there’s not much to reveal. In fact, most of the changes that Google has made to its newest Android software are back-end ones. Let’s have a close look at all the fresh attributes that will greet users when this OS is made available to them later this year. Right now, all the manufacturers who wish to incorporate fingerprinting scanners on their smartphones need to come up with their own software in order to support the hardware. With Android M, that’s changing, as Google has infused it with a consistent API that will work with all kinds of fingerprint scanning sensors. This also increases the chances of the next Nexus phone coming with a fingerprint scanner onboard. A huge feature for all the privacy conscious people out there, the new app permissions trait works exactly like on iOS. Instead of asking you to agree to various permissions during the time of installing the apps, the apps will ask you for those permissions each time they want to access certain areas. 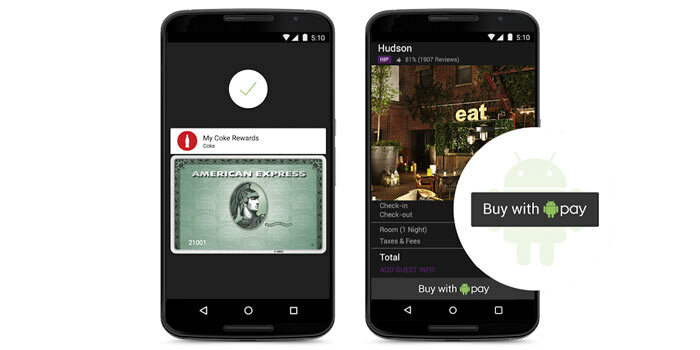 The reach of Google Wallet has been extremely limited, which is why the company has felt the need to come up with Android Pay. This new service will work with the phone’s NFC hardware to facilitate fast payments. Tie-ups with big brands like Best Buy, McDonald’s, Subway, Pepsi and more have been announced as well. Android Lollipop brought with it a number of battery life improvements, but Google wasn’t satisfied with just that. It has now introduced a new Doze feature with Android M. It will identify when the phone is not being used with the help of its sensors, and limit the background activities of apps to save power. Apparently, the battery life of the Nexus 9 has doubled up due to this addition. 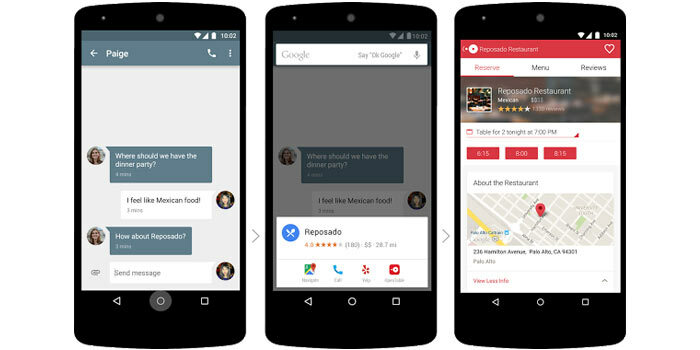 Perhaps the coolest addition to Android M is Google Now on Tap. This new functionality is based on grabbing context from the content that’s being viewed in the Google app. So if you’re in WhatsApp and someone mentions a particular restaurant to you, only a single tap will let you access details regarding that particular restaurant in the form of cards. Additionally, Google Now no longer needs you to be specific with your voice searches. It figures out the context on its own based on what’s being running on the phone. So, if you’ve run a search for Bombay Velvet already and want to know where it’s playing, you can just say ‘Where is it playing’ instead of mentioning the film’s name. A neat new Chrome feature opens tabs right inside third-party apps if you click on links while using them. Furthermore, links that are capable of opening into apps will be auto-verified by the OS, so that you don’t need to make the choice yourself. 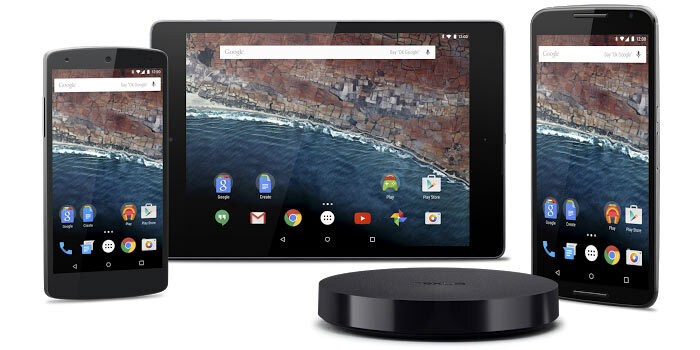 The Developer Preview of Android M is now available for the Nexus 5, Nexus 6, Nexus 9 and the Nexus Player. Google hasn’t yet announced the exact devices that will be getting this software later this year.